March is one of our favorite months of the year; St. Patrick’s Day, March Madness, and it’s National Nutrition Month! At the beginning of the year you may have made a new year’s resolution to focus on your health. Not only does this include increasing your exercise and activities, but you need to focus on eating healthy, and that means including more fruits and vegetables in your diet. Taking the next step in your health journey can be a really fun and rewarding challenge. Take this opportunity to experiment with new food and recipes, spices, and cooking techniques. We want to help you achieve your goals! 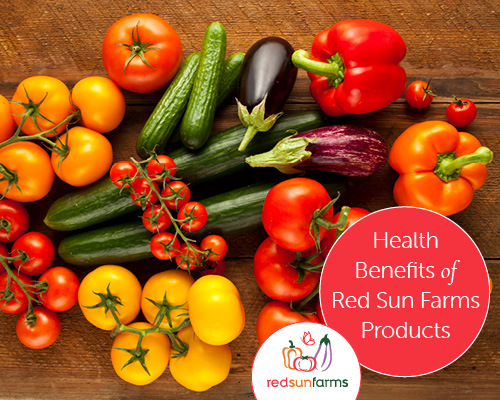 So, we have compiled a variety of cooking tips, recipes and nutrition information to help educate you to the benefits of healthy food, including delicious produce grown by Red Sun Farms let’s get started! Rich in lycopene, an antioxidant linked to reducing the risk of heart disease and cancer, and helpful in the prevention of sunburns. Potassium: An essential mineral, beneficial for blood pressure control and cardiovascular disease prevention. Vitamin K1: Also known as phylloquinone, vitamin K is important for blood coagulation and bone health. 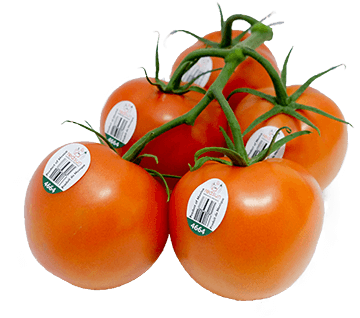 Store Red Sun Farms tomato varieties at room temperature, away from sunlight, for 1-5 days. 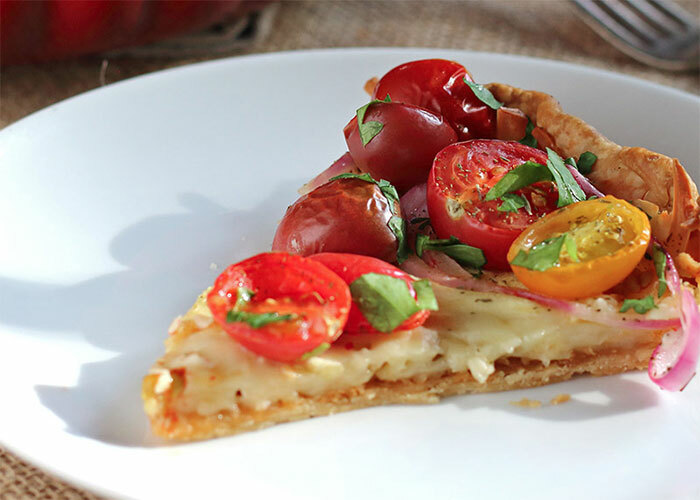 Refrigeration will break down the tomato, leaving it mealy and less sweet. Tomatoes about to go bad? Whip up a batch of homemade spaghetti sauce and freeze for an easy meal later. Rich in antioxidants that may reduce risk of conditions like cancer, heart, lung and autoimmune disease. Made up of 96% water, making it a great way to hydrate. Low in calories and high in water, this fruit can be a tasty aid in your weight loss goals. May help lower blood sugar levels and prevent some complications of diabetes. Can promote regularity by providing hydration – they keep things moving. 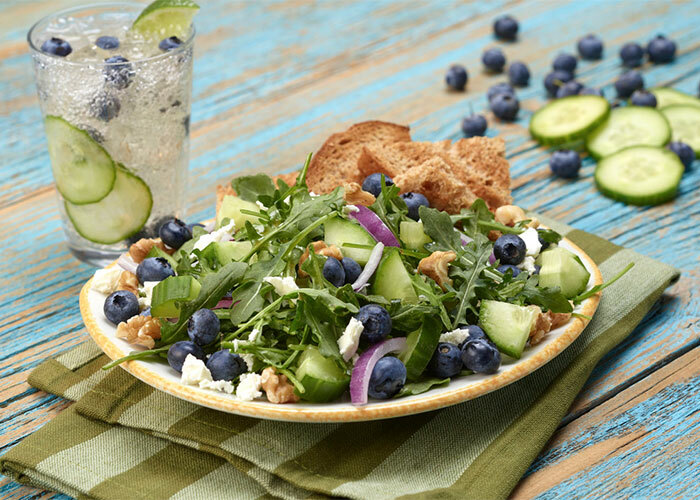 A great addition to water to add some refreshing flavor. 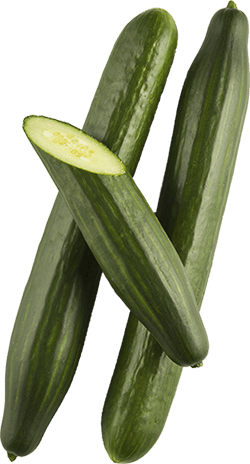 Keep whole Red Sun Farms seedless cucumbers in the wrap or in the bag for mini cucumbers and store in the crisper of your refrigerator for up to one week. Once cut, store in an airtight container or plastic bag in the fridge for 1-2 days. If cucumber sticks or slices get soggy, trying letting them sit in an ice water bath to crisp up. Come in green, red, yellow and orange – ranging in sweetness. Great for eye health, preventing anemia due to the iron and vitamin C, which helps to absorb iron in the gut. Vitamin C: One medium-sized red bell pepper contains 169% of the RDA for vitamin C, making it one of the richest dietary sources of this essential nutrient. Vitamin B6: Pyridoxine is the most common type of vitamin B6, which is a family of nutrients that are important for the formation of red blood cells. Vitamin K1: A form of vitamin K, also known as phylloquinone. It is important for blood clotting and bone health. Potassium: An essential mineral that may improve heart health if consumed in adequate amounts. Folate: Also known as folic acid, folacin, or vitamin B9, folate has a variety of functions in the body. Adequate folate intake is very important during pregnancy. Vitamin E: A powerful antioxidant, essential for healthy nerves and muscles. The best dietary sources of this fat-soluble vitamin are oils, nuts, seeds, and vegetables. 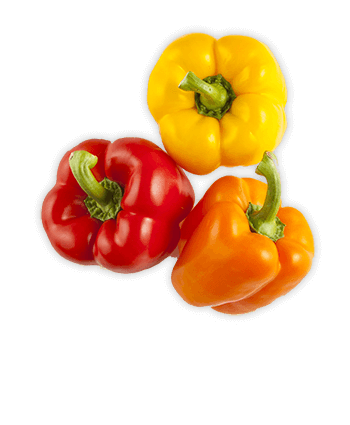 Vitamin A: Red bell peppers are high in pro-vitamin A (beta-carotene), which is converted into vitamin A in the body. Store Red Sun Farms sweet bell peppers in the fridge for 1-2 weeks. Once cut, sweet bell peppers keep for 1-2 days. Keeping the seeds on the unused portion may help it stay fresher. Rinse, pat dry, slice and freeze sweet bell peppers in a plastic bag (remove air before freezing) to use them later. 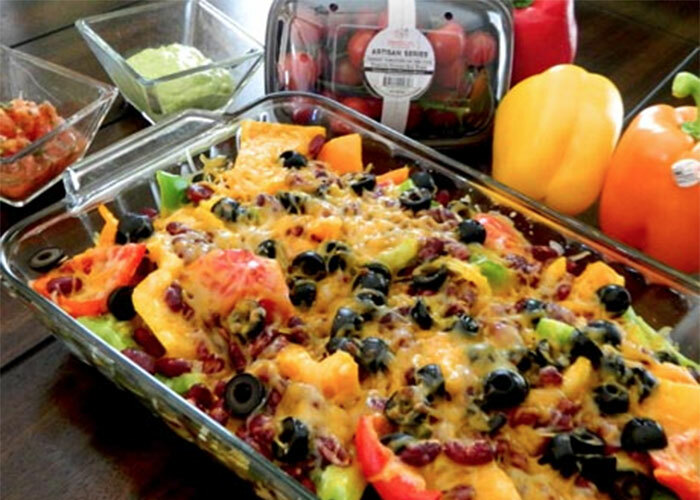 Frozen sweet bell peppers are great for hot dishes, as they lose crispness in the freezer.